CRT is a full-service Low Voltage / Technology Company servicing the Tampa Bay and South Shore area since 1992. Specializing in Commercial and Residential Technology Solutions including Surveillance Security, Audio/Video, Intrusion, Communications and Full Home & Building Automation. 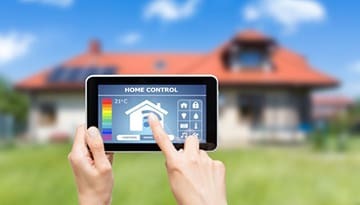 We can help you modernize your home so you can do everything from lighting, ventilation, air conditioning, security, as well as your homes appliance . 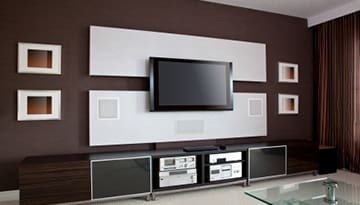 CRT’s experienced technicians are dedicated to helping you build the perfect home or business entertainment solution. 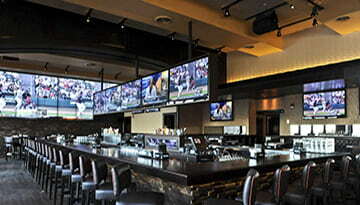 CRT offers world class commercial audio & video technologies for Restaurants, Bar & Night Clubs, TV/News Stations, Video Walls, Executive Board Rooms, offices and more. 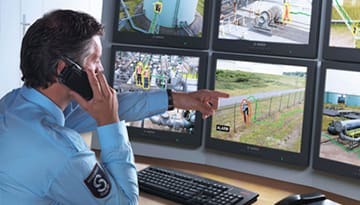 CRT’s Customized Video Surveillance Systems play a vital role in protecting your home and business assets and aids in monitoring critical infrastructures. 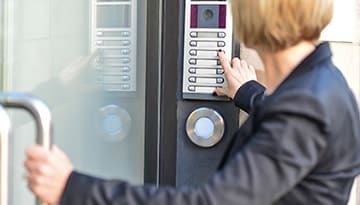 Our cutting edge Intercom systems enable security personnel, building tenants or residents to identify a person via Voice before authorizing access to the premises. Testimonial *CRT has been servicing our equipment for over 15 years. John Delage is honest, fair in pricing and his staff is excellent always willing to answer the silliest questions you may have. They are a 5 star company. I would recommend them very highly. Thank you John for being their for all of our needs . John Delage and the CRT staff are everything you are looking for to take care of your needs. I love their fast and courteous responses whenever I call them. Definitely 5 stars! CRT is made up of highly, well trained professionals that have work in the Government and Private Sector. The team understands their clients needs and delivers a quality product and quality service. From installing to servicing CRT has been a great resource. I have had them install and service camera's and security equipment for a neighborhood to setting up computers and teaching courses on how to use them. They are an excellent company I've used for many years. I highly recommend them. CRT is a very reliable and professional computer service company. They are always happy to answer my questions and have cleaned my computer of viruses quickly and easily. I would highly recommend them for all of your computing needs. CRT is a very professional business providing a broad range of Tech services. John and his staff, operate with the highest integrity, honesty and respect for the client. That combination earns trust. I highly recommend them to my friends and family. CRT Services and John Delage and staff have handled all of our computer , security system & camera needs for South Bay Title Insurance Agency, Inc.. and my home. They have been working for us for over 10 years now. They have rebuilt our servers over -night and have provided quick and responsive service. for other computer issues. They have also assisted in preparation of manuals required for our Best Practices certification. I continually recommend them to all who ask. The total staff is very knowledgeable, professional and personable. I am happy to give them my highest recommendation. CRT is the best! 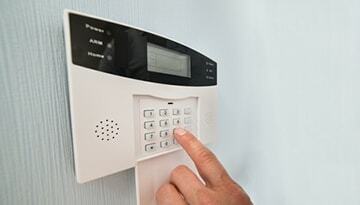 Was so glad I called them to set up my security for my home and my business. They really know what they are doing and I will trust no one else with my security needs. CRT Services and John Delage have handled all of our computer, network, IT, security systems & cameras, security monitoring, CCTV, point-of-sale, and exterior/interior pro-audio for the live bands we host at Circles Waterfront Restaurant and Lands End Marina. They have been working for us for over 10 years now. CRT has also installed and maintains many of the same systems in my personal home, and I’ve recommended them to countless other business and individuals. What can I say? I don’t mind paying extra for top-notch service - but with CRT their service is second to none, and their prices are unbelievably competitive and reasonable. There aren’t any words in the English language to accurately describe how AMAZING and how satisfied we’ve been with CRT. I’m happy to give them my HIGHEST recommendation!